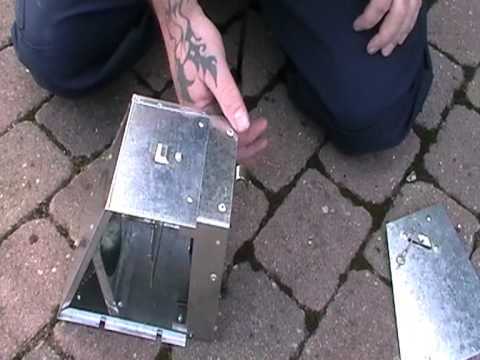 The Kania trap is approved for use in the UK against mink, grey squirrels and rats. 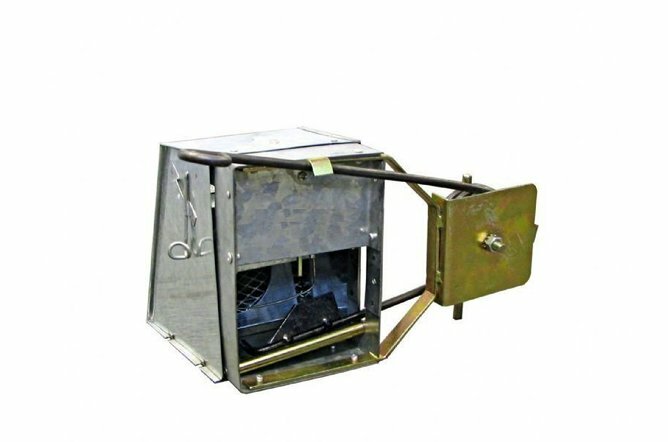 The Kania 2000 trap is a self contained unit which allows the trapper an instant set and is widely considered one of the safest setting and most humane traps in the world. This is a trap of the highest quality, very suitable for use by pest controllers in a wide variety of situations and locations. The perfect grey squirrel trap to use in loft spaces, baited with peanuts, peanut butter or whatever your favorite attractant happens to be. When making a set in a tree or on the side of a building, perhaps as a "grey squirrel trap", it can be used with new Kania bracket for easy mounting and even an expendable pole for easy removal. This trap can be set in an instant and will kill in an instant, even when used by an inexperienced operative. Always ensure traps are set legally and correctly, properly protected and beyond the reach of non-target species. Always check set traps at least once a day. Under UK law a suitable tunnel is also required on the entrance side of the trap when use in the open. This is in order to minimise the chances of harming non target species. We sell the Kania tunnel to go with this trap.